There are only a few writings showing intellectual links between Rudolf Steiner and Karl Polanyi. János Gyurgyák evokes, in his article “Karl Polanyi, Ozkar Jászi, at the Bécsi Magyar Újság” [2000, 320], that between 1921 and 1924, some earlier influences, as Tolstoy, Spengler and Steiner, kept inspiring him and Gyurgyák quotes a letter written to Oszkár Jászi, on January 7, 1920, proving he read Steiner and seemed to be very interested. Gyurgyák also writes that, for Polanyi, “Steiner had discovered the proper representation of the life of human societies: the relative independence of the function of the organism, and the necessity of the unity and harmony of these functions” [Gyurgyák 2000, 320 – summing Polanyi], all this having been developed in the article “Is it possible to help Russia?” [“Lehet-e Oroszországon segíteni?”] published in a journal Medvetanc (of whom I know nothing), in 1921. Unfortunately, this article is not in the Karl Polanyi Archives, where, conversely, we can find another, in various parts, (almost) with the same title, but published in the Bécsi Magyar Újsag, in 1922. One might think that it could be two versions of the same article, but, if the definition of the digital archive is very bad, it is still possible to note that it speaks of John Maynard Keynes and Lenin, without mentioning Steiner. I don’t know where János Gyurgyák found the Polanyi’s article he quotes. Then, twelve years later, there is the article published, in English, in New Britain : “Rudolf Steiner’s Economy” . Between the two, there is no trace of Polanyi’s reading of Steiner, while both have many points in common, as much on the eclecticism of their interests (with medicine, education and ancient peoples), in politics (the functional tripartition and guild socialism) or in their way of reading the Gospels and thinking about the figure of Jesus, even if Polanyi is confined to him1 and never evokes the other elements, multiple and varied, that make up Steiner’s syncretic theology. 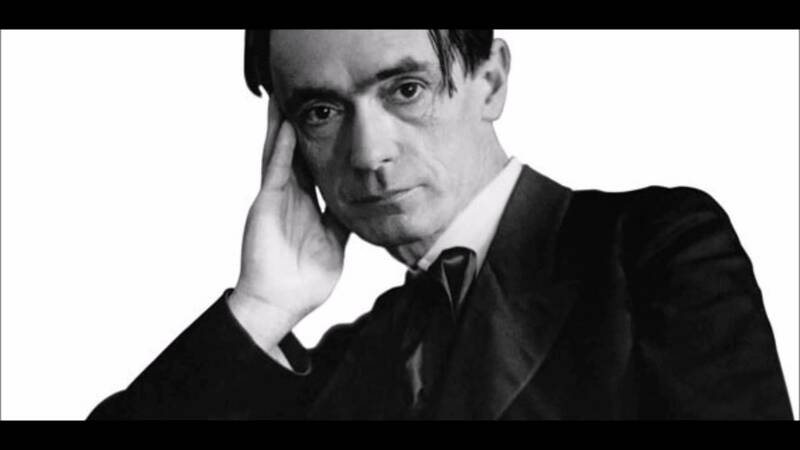 Anyone who has been interested in Rudolf Steiner’s thinking, as I am now, knows in what labyrinth of lectures on various topics, one has to get lost – even if it seems to create, at the end, a coherent world view [Weltanschauung]. However, in his article, Polanyi never quotes a single text or offers a bibliography of those he took into account, to summarize the economic ideas of Steiner, as it was asked. It would have been interesting to see, thus, in each text, what he retained and what he dismissed, and especially how he was able to disembed Steiner’s economic thought from all the rest, mostly in a thinking in which each level – from microcosm to macrocosm, from physiology to theology, through history and the occult – influences the others. So, it’s embarrassing not to know which texts Steiner Polanyi read in the years 1919-1922, because I wanted to compare what says the first in the same years about guild socialism and compare the Polanyian model “Socialist Accounting” of 1922, to see what there could be Steinerian, or, on the contrary, opposing Steiner with this one. In his 1922 article on guild socialism, for example, Polanyi does not quote Steiner but G. D. H. Cole; it would still remain to see the exact relations between Steiner and the Fabian Society, beyond its membership in the Theosophical Society until the end of 1912, Annie Besant, at the head of this society being, as a socialist, close to Fabian Society. Thus, to quote Steiner or Cole is undoubtedly the same, at the political level at least. Furthermore, knowing that Franz Oppenheimer was then another source of influence for the exiled Hungarian in Vienna, it may be necessary to look elsewhere to understand Polanyi’s attraction to guild socialism. Publication (in French): October 29, 2017 – little update: April 1, 2018. In a series of lectures, however, Steiner distinguishes between Jesus and his teaching, what he calls Jesusism (not to be confused with the Jesuitism of the Society of Jesus) and opposes Christianity, given as a heresy of the first. Why Hegel’s poem “Entschluss” was so important for Karl Polanyi?